The arrival of spring means one thing. It’s time to start thinking about summer vacation. Yes, summer. Your upcoming spring break, Easter getaway, and long Memorial Day weekend should have been booked a long time ago. So it’s time to spring ahead—again. This year, your sights are set on Gotland. Sweden’s largest island sits in the Baltic Sea off the Scandinavian country’s southeast coast. The island has been inhabited for at least 8,000 years. The skeletal remains of three Middle Neolithic seal hunters prove its age. But Gotland is largely undeveloped. Visby—the well-preserved, walled Viking city—is now a UNESCO World Heritage Site. Ninety-four medieval churches are scattered across the rest of the island. Large reserves protect birds (Hoburg Shoal), wild ponies (Lojsta Hed), and orchids (Närsholmen). Windswept beaches are long and sandy. Plus hidden hotels offer true escapes from the rest of the world. After a quick flight—just 40 minutes—from Stockholm, you’ll land at Visby’s little airport. From there, you’ll head northeast to Lärbro. The small district would be easy to pass through without stopping en route to Lake Bästeträsk (the largest lake on the island) or the ferry to Fårö (a smaller island off the northeast coast). It looks like it’s only home to one of those medieval churches (Lärbro Church) and a small museum. But there’s more to Lärbro than meets the eye. The Furillen Peninsula is far from the sight of Lärbro’s main road. The remote peninsula was home to a limestone quarry until 1974. Its excavations left a crater-like landscape and craggy rock formations. The area was then closed to the public for years for military exercises, due to the island’s strategic position in the Baltic Sea. 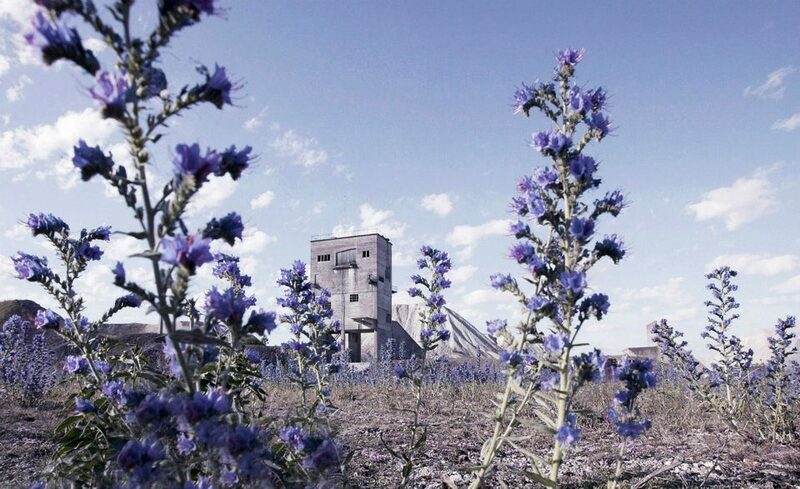 But in 1999, a photographer bought the property and started converting one of its old factory buildings into a hotel. The result was an industrial-chic design hotel. Fabriken Furillen has grown to include 18 minimal rooms, suites, and cabins. 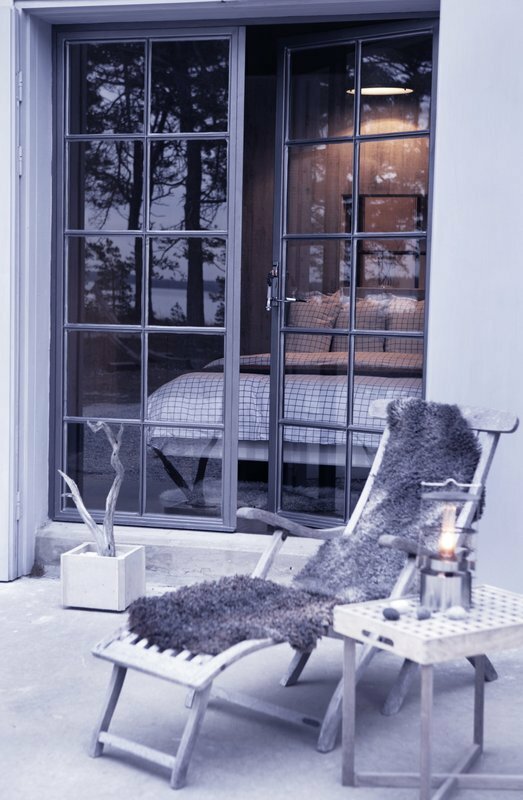 The rooms have cast-iron log fireplaces, Hästens beds, and sheepskin rugs. Double doors on the superior ones lead to terraces, wooden loungers, and hammocks. Kitchens and living rooms were added to the freestanding cabins. Plus two remote hermit cabins, which don’t have electricity or running water, are for those who mean it when they say they want to escape. The unique accommodations aren’t the only reason to stay at Fabriken Furillen. Agrikultur, a chic Stockholm restaurant, operates the restaurant here, too. Long wooden tables and cozy throws fill the bright space. Utensil holders, napkin rings, and vases are made out of wood. The seven-course menu changes daily, but it only features local produce and products. Simple but artful dishes are served on handmade pottery. While all meals should end with a glass of Gotlandsdricka, a traditional farmhouse ale brewed on the island. So are you ready to book a trip to Gotland? Hurry. Fabriken Furillen is open for less than two months each summer.